to have or not to have a legally binding convention to manage the world's forests has once again taken the centre-stage in global environmental negotiations. The issue of a forest convention, as this proposed legal instrument is known for managing the world's forests, was the most contentious and divisive item on the global agenda at Rio. It divided the conference which was then billed as the "last chance the save the world" into two fighting camps of countries proposed and opposed to the forest convention. Behind its pomp, glitter and ceremony was the squalid reality of diplomats who argued on the sentence, word and punctuation of the forest convention documents. The battle over forests saw the Southern countries, mainly India and Malaysia - who opposed the convention - emerging victorious. Instead of a legally binding global convention on forests, the Rio conference endorsed the 'non-legally binding authoritative statement of principles for a global consensus on management, conservation and sustainable development of all types of forests." However, the compromise at Rio was to leave a possible window for further discussion on a convention. Therefore, Agenda 21 - under the chapter on forest - included a paragraph that said that the world would "consider the need for and feasibility of all kinds of arrangements to promote international cooperation on forest management". This would keep the option to open future discussions on the need for a convention. At Rio, the Malaysian Ambassador Wen Liang Ting had said on the compromise "We have not given them a window, we have given them a chink". But Down To Earth (Vol 1, No 4), was not so sure. It had asked in its coverage of the negotiation, "the South may have won the battle but will it win the war?" Down To Earth 's fears came true at the April meeting of CSD. It is difficult to say what shape and form the convention will take - as officially there is no document as yet. We do know however, to some extent, the different motivations of the movers and pushers of this convention. For instance, we know that for Canada and Finland - the most fervent and persistence advocates - the driving force is the economic interests of their pulp and timber industry. The Finns look to the convention to provide them the opportunity to market their expertise in forestry management. On the other hand, the Netherlands which has an environmentally conscious public opinion is pushing the convention because it believes it will conserve biodiversity. The Southern countries supporting the convention see it as a means to ask for additional funds. The five years after Rio have seen a consistent effort to revive the forest convention. 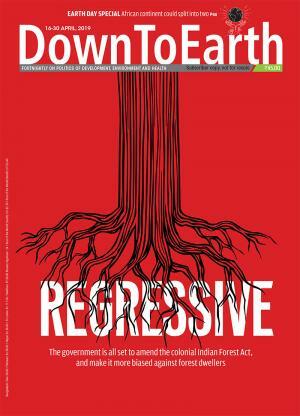 "In Rio, we were afraid to even mention the ' c' word because of the intense opposition to the idea of a convention," says Jagmohan Maini, formerly a deputy minister with the Canadian government and now the head of the Intergovernmental Panel on Forests set up under the csd. However, by 1997, this opposition had been overcome to the extent that the Inter-government Panel on Forests recommended, among others, options to begin negotiations on the forest convention. This recommendation was tabled at the csd and was a major preoccupation of the meeting. Soon after Rio, industrialised countries began efforts to woo the nations who had opposed the convention. In 1993, Kamal Nath, the then minister for environment and forests, who had stridently opposed the convention in Rio was approached by his British counterpart to launch a bilateral initiative on forests. 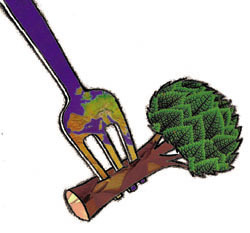 The Indouk initiative towards sustainable forestry was to break the deadlock between the North and the South. The initiative, which culminated in an informal meeting of environment ministers in the uk in February 1995 while not supporting a convention, endorsed the need to continue an international dialogue on forestry issues and suggested the creation of an intergovernmental panel on forests. Simultaneously, the Canadians - staunch supporters of the convention - persuaded the Malaysians to temper their opposition by setting up a bilateral initiative. The Malaysians, miffed that India had joined ranks with the uk, decided to go along. By 1995, the Canadian-Malaysian initiative endorsed the need for globally harmonised system of criteria and indicators (c & i) for sustainable forestry.The efforts of the industrialised countries to divide developing countries had, thus, succeeded. The third csd met in New York in the midst of this high profile activity on forests. But there was still no overwhelming support for a forest convention. Therefore, the intersessional working group which met prior to the csd, recommended the creation of an ad hoc open-ended intergovernmental panel on forests (ipf), under the csd. The panel was established with five inter-related clusters of issues which were to be addressed over a two-year period, the final report to be submitted to the csd at its fifth session in 1997. Developing countries, who did not want the forest convention, saw the panel as a way of postponing the decision. Their effort was to add items to the agenda to deflect interest away from the convention. However, countries in favour of the convention saw the panel as a medium to the convention. Their effort was to secure discussion on the need for a convention through a separate agenda item - number 5 -on the workplan of the panel. (See box: Mortgaged woods) The panel began its deliberations in September 1995 in New York with mixed and conflicting objectives. The one agenda item on which there was no agreement was the need for a forest convention. Whereas a number of countries, including bigwigs from g-77 like Malaysia, Indonesia, China and the eu and Canada, supported action towards a forest convention, the opposition from the us to the convention, delayed consensus. Canada and eu, the most vocal proponents specified that negotiations should be finalised by the year 2000. But their determination was matched by strong sentiments of the opponents like Brazil. Southern ngos, urged by the New Delhi based Centre for Science and Environment, signed a statement which denounced the move for a forest convention saying that it was premature, leading to ineffective policies and would formalise the lowest common denominator for sustainable forest management. This was a radical shift in the position of these groups who till a year ago had demanded a convention as the only way to protect the world's forests. The ipf recommendations took up a fair amount of csd's time. The discussion was at the highest level. The meeting was chaired by Mostafa Tolba, head of csd and former head of the United Nations Environment Programme who has enormous personal skills in bringing countries to the negotiating table. The group came out with a new draft paper which was a watered down statement of intent on global forest policy. It endorsed national action, supported the forest principles agreed to in Rio, begged for international cooperation to implement ipf proposals and sought further "clarification" on all issues arising from ipf. But there was no consensus on the convention. The ipf was given a new lease of life. The only issue was what should ipf do - study and monitor global forest policy or work towards a legal framework. But the entire section on ipf is bracketed - un parlance for text on which there is "no agreement." The key interests of both the opponents and proponents of the convention is the control of the global timber market. The convention is therefore, driven by commercial interests. The vested interests behind the lip service to conservation is to get the same timber industry certified as 'green'. Therefore, it is vital for these timber producers to develop a set of c &i to define how 'green' their wood is. The convention would be used to legitimise this green trade by setting global rules and penalties for sustainable forest management. The North has always controlled the world timber market. With vast forest areas; promixity to markets and ready supply of capital which is needed in this expensive business to turn trees into paper, the temperate timber industry has flourished - with a global annual turnover of over us $330 billion in 1995.However, environmentalism is taking a toll of this lucrative industry. On the other hand, the Southern companies are making inroads with an advantage of their own; a climate in which trees grow faster. The environmental organisation, Greenpeace, opposing the convention, says, "politicians are out trophy hunting. Conventions are big game which create the impression of action with the public, even where none may exist." This trophy will come at the cost of the poor in the South. Starting with Rio, the Centre for Science and Environment has maintained that the issue of forest management is to decentralise decision making to local communities. In fact, it has argued that the capitals of Delhi, Nairobi and Bogota are too far removed to manage forests. The convention is an exercise in supercentralisation as it will move decision making on forests further away to the global capitals of the world like Rome, New York and Washington, dc. But, given the powerlessness of the rural communities in the global system, it is clear that nobody cares. The key governments of the South - including India - who should be articulating this concern have no morality and no authority. In fact, these governments are beginning to negotiate the most precious resource - the habitat - of millions of their people without even beginning a discussion on this in their own countries and in their own parliaments. If past determination and single-mindedness of the proponents of the convention is any indication, then the forest convention is a foregone conclusion. The South has willingly mortgaged its present and future once more in the so-called interests of the globe.